Why Choose an I-Beam Steel Building? 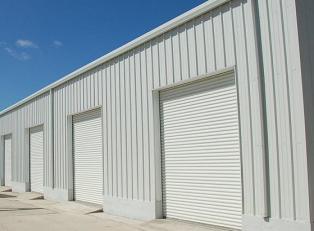 Whether it's a warehouse, multiple car garage or storage for your RV or boat, truck or bus garage, barn for livestock or crop and fertilizer storage an industrial or commercial complex, indoor tennis complex with pro shop and restaurant. Retail or office space or even an aircraft hanger. With a name like Duro Steel, it's obvious that excellence in manufacturing and customer service are the company's highest priorities. After years of pre-engineered steel building experience, our professionals have become obsessed with producing only the highest quality, most durable products at the lowest prices in the industry.